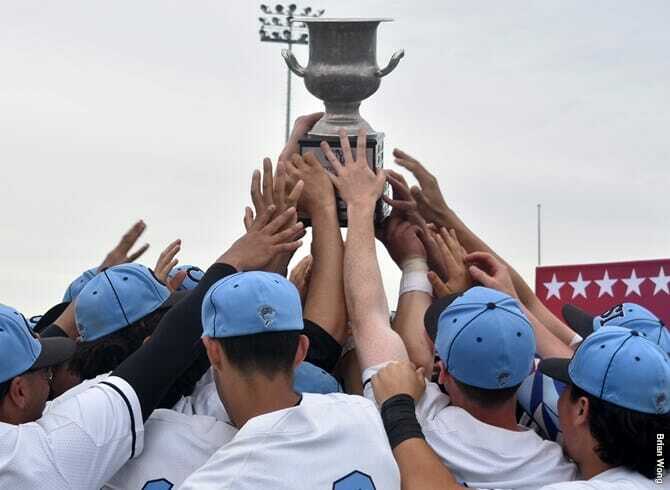 The summer is in full swing, but the College of Staten Island Men’s Baseball team is getting ready for its 2019 campaign, with the announcement of its fall tryout date. The team will conduct tryouts on Saturday, September 15th at 10:00am at the CSI Baseball Complex. - A completed physical form and Sickle Cell form signed and on record in order to participate in the tryout. The medical form can be found online under the Athletic Training link in the About Athletics tab or by simply clicking here. Medical forms are also located in Building 1R-105 in the trainer’s office. or in Coach Mauro’s Office in 1R-204. - Any student wishing to tryout for the baseball team must be a full-time student. - Proper baseball attire must be worn for the tryout. Please make a copy of all of your documents for your records. All physicals must be on file BEFORE tryouts take place (do not bring them with you for the first time at the tryout). For any questions, please call Head Coach Michael Mauro at (347) 288-5609 or at michael.mauro@csi.cuny.edu. CSI has been to the CUNYAC finals nine years in a row. In those nine years, the Dolphins have won seven championships, including the last four in a row. CSI finished last season with an 18-16 overall record, earning the number one seed for the CUNYAC Postseason Tournament. The Dolphins will look to continue their trend of reaching, and winning CUNYAC titles, and you can be a part of the action beginning with their fall tryout date.